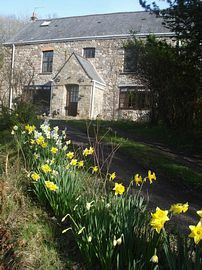 Llundain Fach, 'Little London', is set in a secluded location just off the Swansea-Brecon Road (A4067) and on the southern edge of the Brecon Breacons. 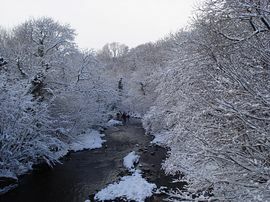 Our home is on the banks of the River Tawe, and surrounded by trees. We provide relaxed welcoming comfort in a secluded, woodland, make-yourself-at-home atmosphere and a cordial or alcohol-based welcome is assured when you arrive. We offer one kingsize bedroom with en-suite and one double bedroom with separate bathroom; there is also a 2-bed bunk room, available when booked with one of the other bedrooms, for families or groups travelling together. 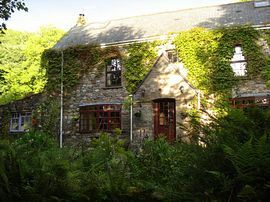 There is a large lawn and small woods bordering the Tawe River, on-site parking, barbecue and outdoor seating, and a study for relaxing when the weather is poor; both bedrooms have a view of the gardens and river. All food is freshly cooked, and sourced locally where possible. 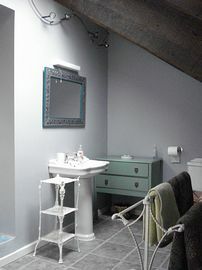 Kingsize en-suite: £50.00 per couple per night; £45.00 for single occupancy per night. Double standard: £40.00 per couple per night; £35.00 per single occupancy. 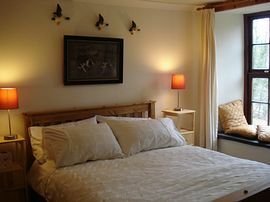 Bunk beds: £15.00 per person per night, only when booked with one of the double rooms. We are open year round; check in from 16:00 onwards, and check-out by 11:00 (but if you need to come/go outside these times we can always discuss what can be arranged. Special Diets Provision: Special diets are catered for. Call or email to let us know any special dietary requests, including allergies, vegetarian/vegan, and so on. We are located up a short (unmade) road just off the A4067 Swansea-Brecon Road. Full directions will be emailed when your booking is confirmed. The nearest train station is Neath, and the X63 Brecon-Neath-Swansea bus stops on the A4067 just by our road. Again, full details can be given when your booking is confirmed.